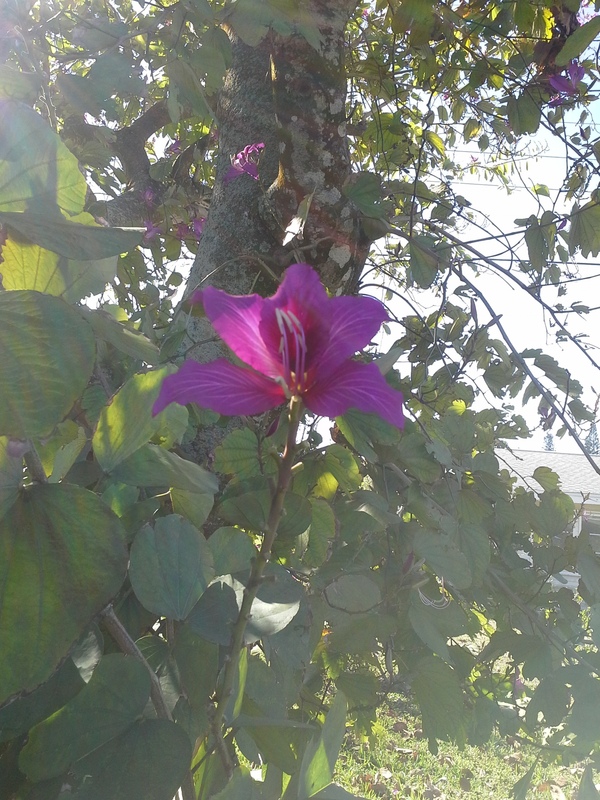 I have this lovely tree in my back yard in the suburbs of Southwest Florida. And this week, which heralds the First Day of Fall in the Northern Hemisphere and the First Day of Spring in the Southern Hemisphere, it is blossoming in a beautiful array of small yellow flowers. The little flowers drop off in the breeze and it looks like it is raining. This tree is part of the group called the Shower Trees and is from India. 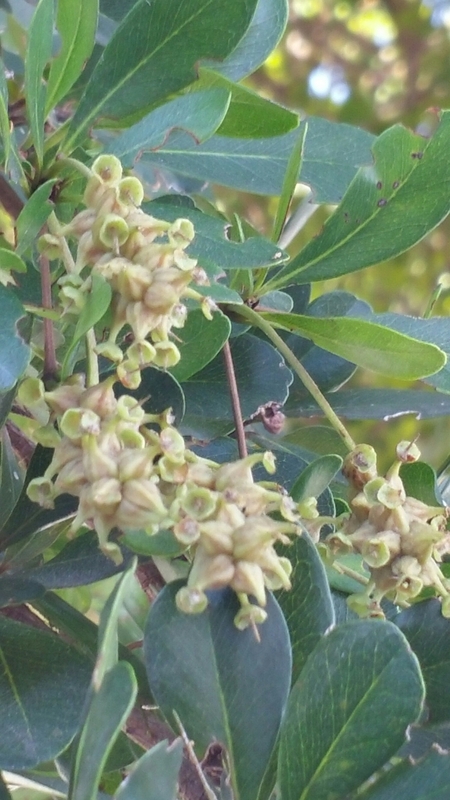 The flowers are on bracts (like grapes) and are very small. And, I have set out my collection tin trays this morning, to see what I can get. While I was outside taking my pictures, I could hear the “ping, ping, pinging,” of the small flowers hitting my tins. I haven’t collected these flowers before, so I don’t know what they will smell like when they are burned for smudging. I shall have to gather quite a lot for smudging! I was able to get a few bracts in my tin trays, however, most of what can be collected is very, very small (like the size of a lentil) and collecting that will be labor intensive. They are everywhere. What’s blooming in your yard? Can you use any of it for ceremonial smudging? When do you collect it? After I’ve collected it, I will sit with it and learn, What does it represent? Is it aligned with masculine energies or feminine ones? Is it about the Air, or Fire, or Water, or Earth? And share your peace with Mother Earth, Father Sky and all the Big Waters around us. Except for the picture from the “Florida’s Fabulous Trees” book, everything else is (c) 2016 to present by Whale Maiden for Earthways Shamanic Path. All Rights Reserved. Why not smudge with Sage in Floirida? A few weeks ago now (Feb 22) I created a Medicine Wheel in Southwest Florida, with the help of several wonderful people. Before we created the Medicine Wheel, I led a meditation/demonstration of what we could use besides sage, to smudge ourselves and our materials. What’s wrong with sage? Nothing, in general. For something like 20 years, at almost every ritual I’ve attended, regardless of intent, we have smudged with sage. This is painting with too broad a brush in my opinion. I like sage. It smells good to me, it tastes good to eat (or smoke) and is readily available at most “new age” or “metaphysical” shops. 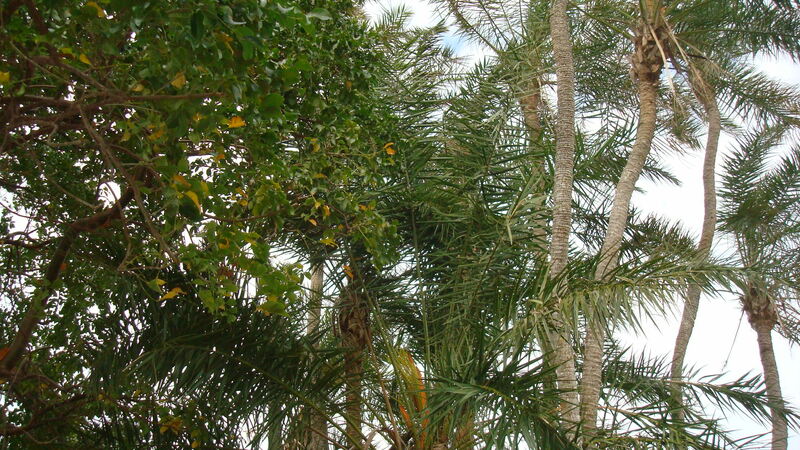 The drawback is, I think it isn’t native to Florida, much less Southwest Florida. Plus, I read a great article a few weeks ago on facebook called “the four sacred plants,” which led me to reconsider how and when we use sage in our rituals and gatherings, In a word, we are over using it, which I had long suspected. So when I invited the people to help me create the Medicine Wheel, I also asked them to bring tree material from around where they lived. I suggested they forage for tree items since that would reduce the potential to pick plants that are either non-native, or are endangered, or toxic. Plus, trees are easier to identify than plants, so I thought that would help us keep track of this experiment. I brought a coconut, from my neighbors’ coconut palm. 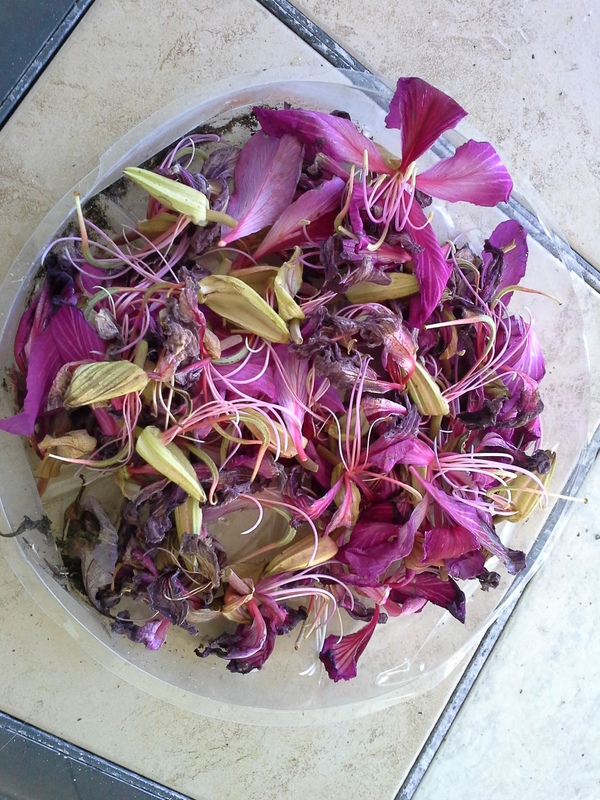 And, some dried flowers from the Orchid Tree. Other people brought: pine cones, pine needles, pine sap on bark bits, and a bunch of other types of trees materials, particularly from Mahogany. 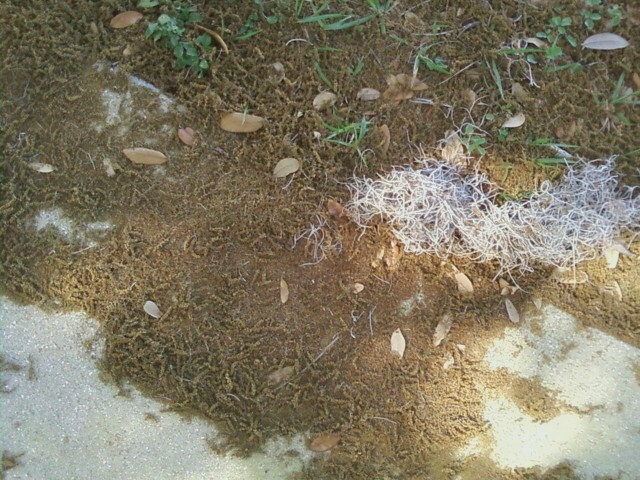 We had cypress tree leaves that had fallen to the ground and were gathered. They were already fairy dry. We also had oak scree. We talked about what each person brought and discussed whether it was suitable for burning in a smudge bowl. For example, the coconut is readily available, at least in my neighborhood, but it is difficult to prepare for smudging. We burned bits of each item and sat with each to see what we liked best. I like the oak scree. You have to be careful because it is a quicker burn than sage is. But it is readily available, if you gather it at the right time, and has a nice smell. One person brought some berries of (Cypress? or Cedar?) and these smelled very good when burned. Take a stroll around where you live, work, go to church, or play and see what tree items you could gather and dry for your ceremonies. Sit with the items and see what speaks to you. footnote: There are times where we have consecrated sacred space with an herb like rosemary, dipped on water. We anoint people with this when we are in a place where we can’t burn sage or other materials. Presently I’m using a sprig of Boston Fern to anoint people in my Class. It is right outside the door of the classroom, and is thus very convenient. And, it is growing in Florida, so that works for my purposes. Author Whale MaidenPosted on March 8, 2014 March 9, 2014 Categories Ceremony, treesTags oak scree, smudge, treesLeave a comment on Why not smudge with Sage in Floirida? Yellow Trumpet Tree by WhaleMaiden. The Red flowering Trees of Fire Season, yielded to the Yellow blossoms and the Orange Blossoms of Rainy Season. What I have learned this year about nature Photography and blogging, is that you have to take the picture(s) when and where you see them because if you wait a day or two, the blooms will be gone. 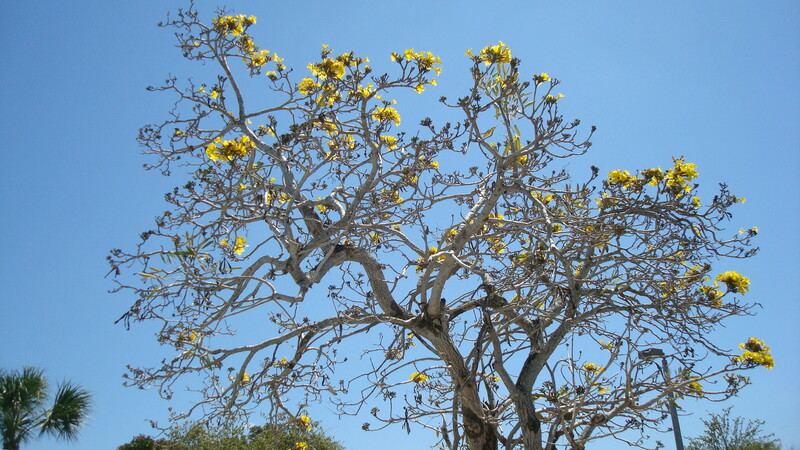 This wonderful yellow blooming tree starts out slow, but the tree eventually becomes completely covered with blooms. I missed taking those pictures this year. (Sloth!) I’ll have to remember to get them next year. 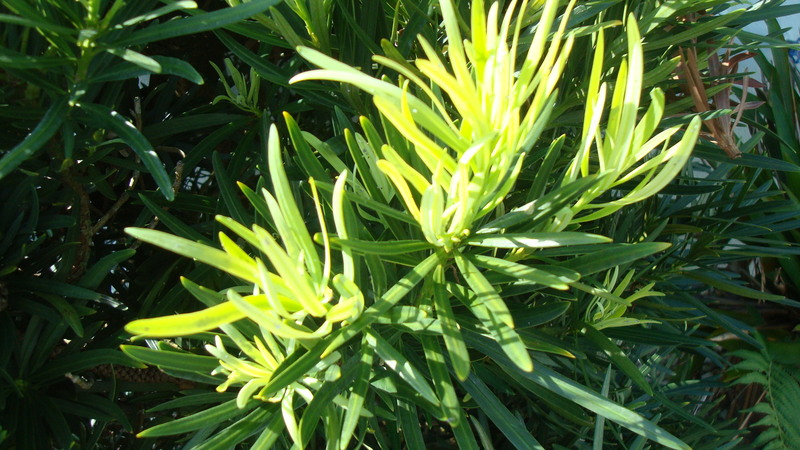 Yellow is also the sign of new growth. “the orange flowering Pamosa (sp? )” is the Royal Ponciana.